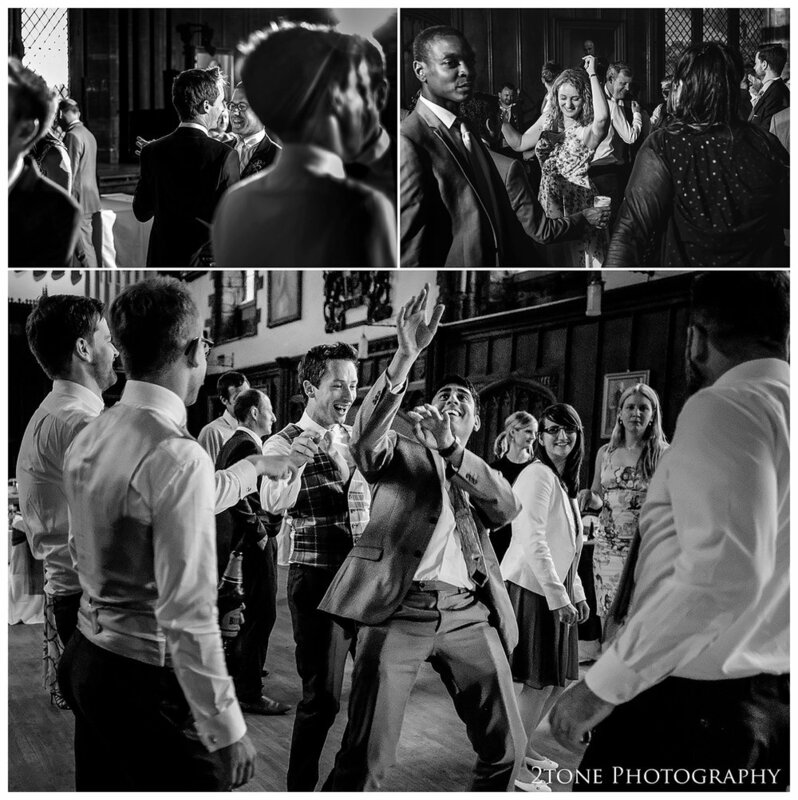 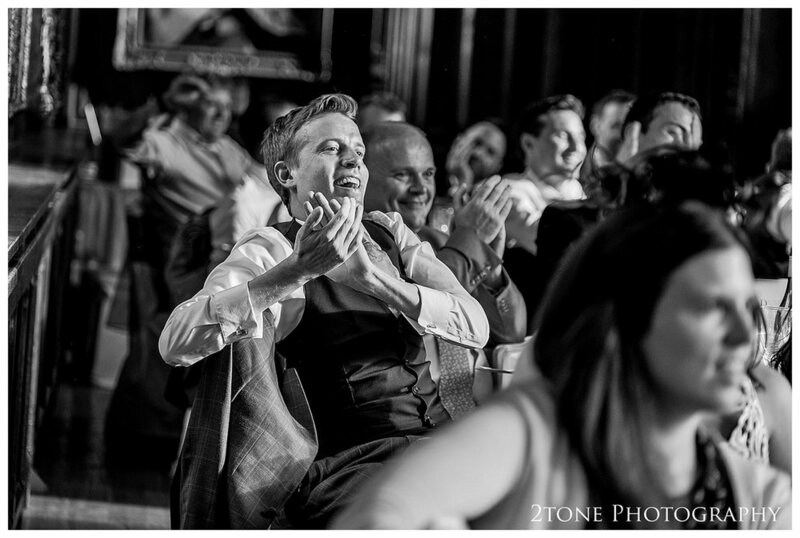 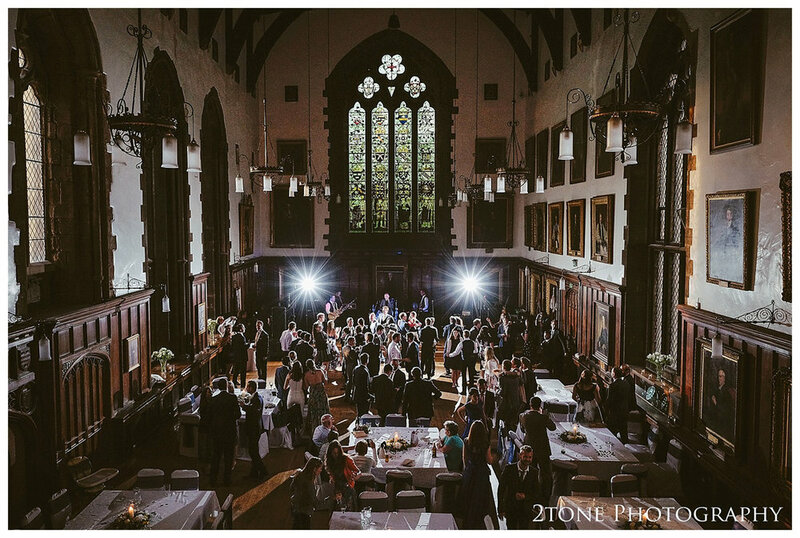 Durham Castle has always been one of my favourite wedding venues to work in - for is history, it's abundance of creative photographic opportunities and for the wonderful light so it was a delight to return to photograph Jez and Marks spectacular wedding. 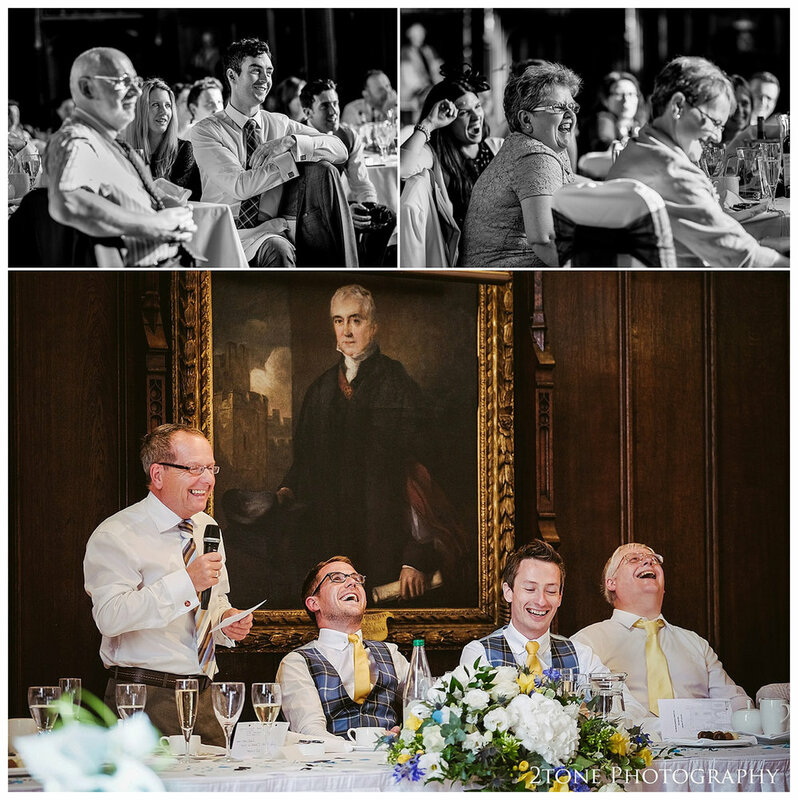 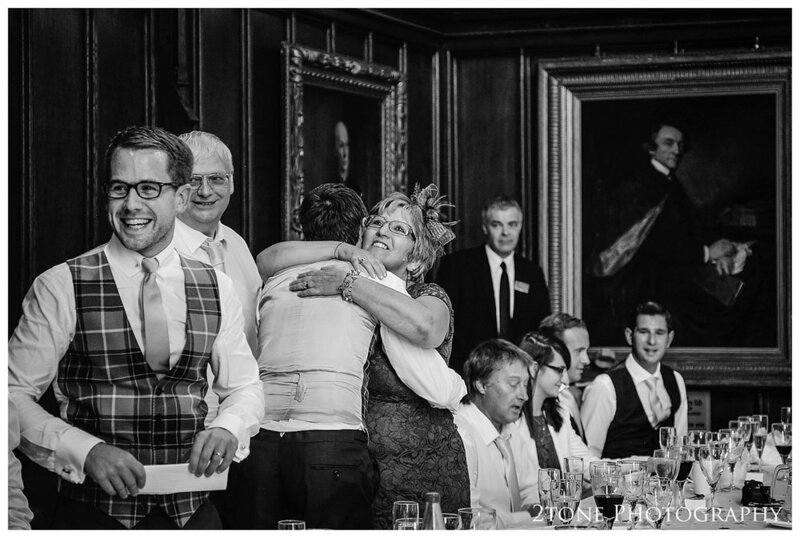 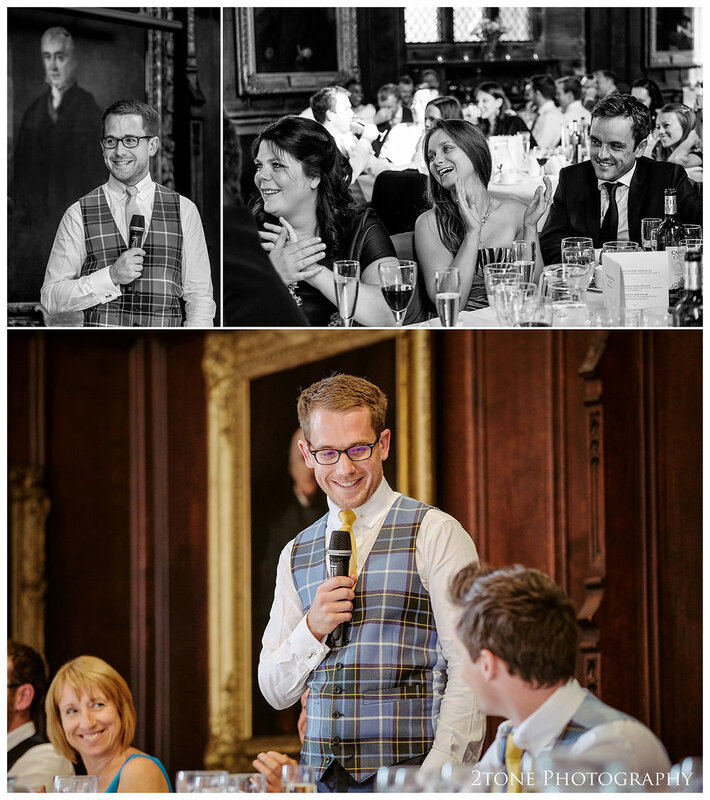 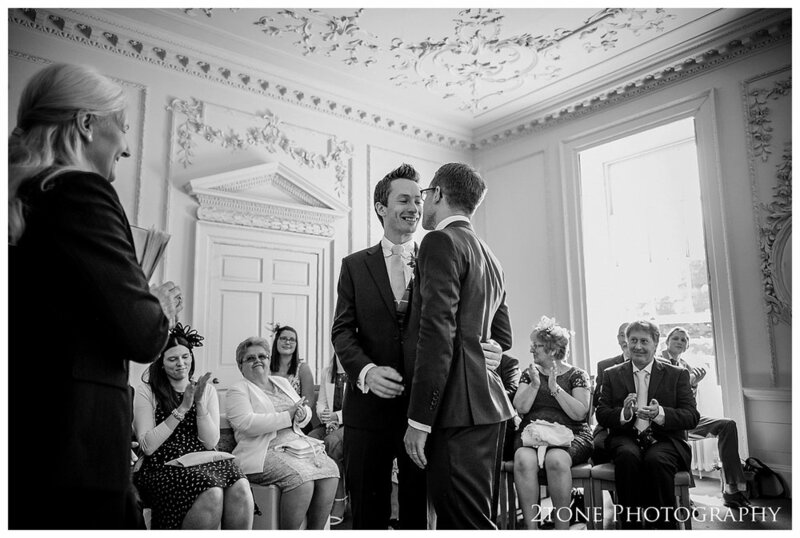 Jez and Mark travelled all the way from London to be married in the city that they first met. 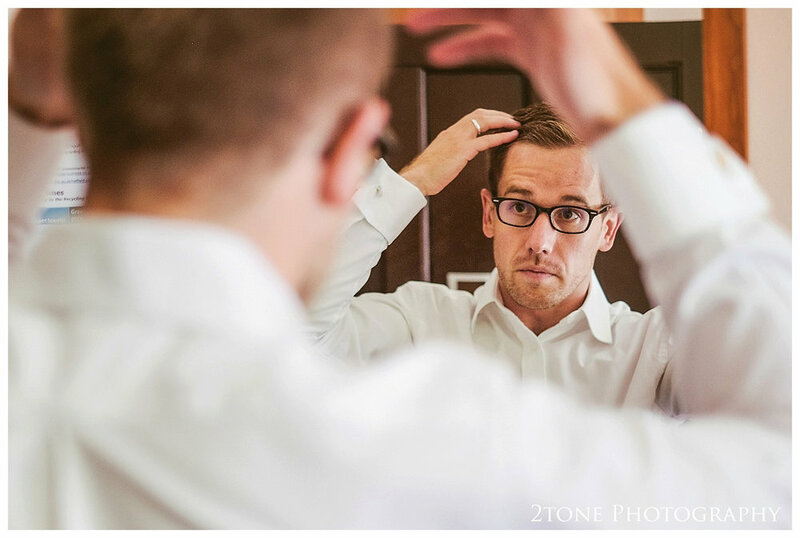 I met Jez while he got ready with his groomsmen in the Royal County Hotel in Durham while Nige met Mark getting ready in his old halls of residence at Hatfield Collage. 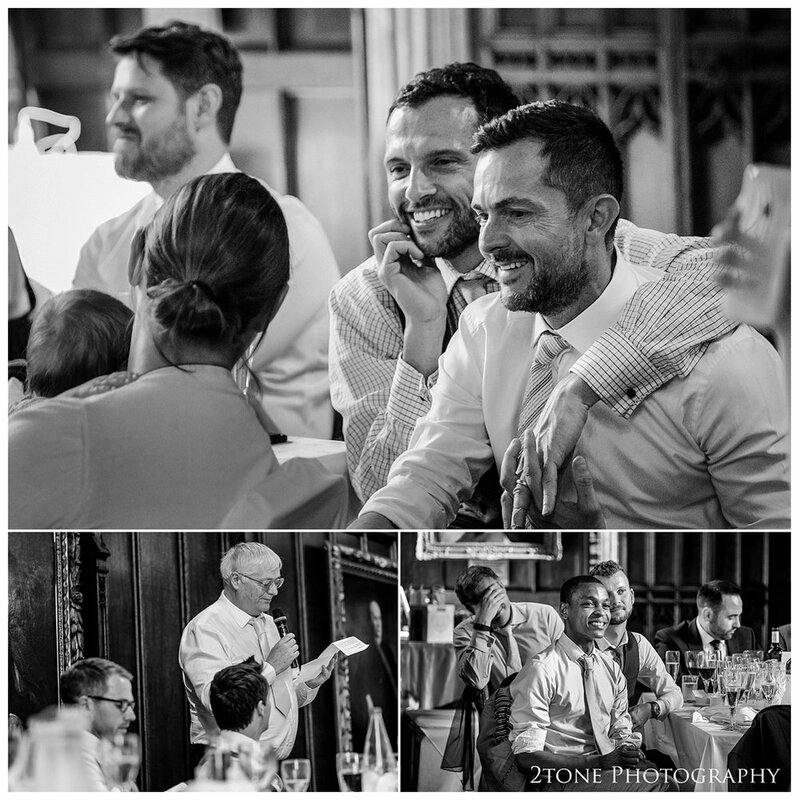 They said their vows in an intimate ceremony at Ackley Heads registry office surrounded by only their closest family and friends. 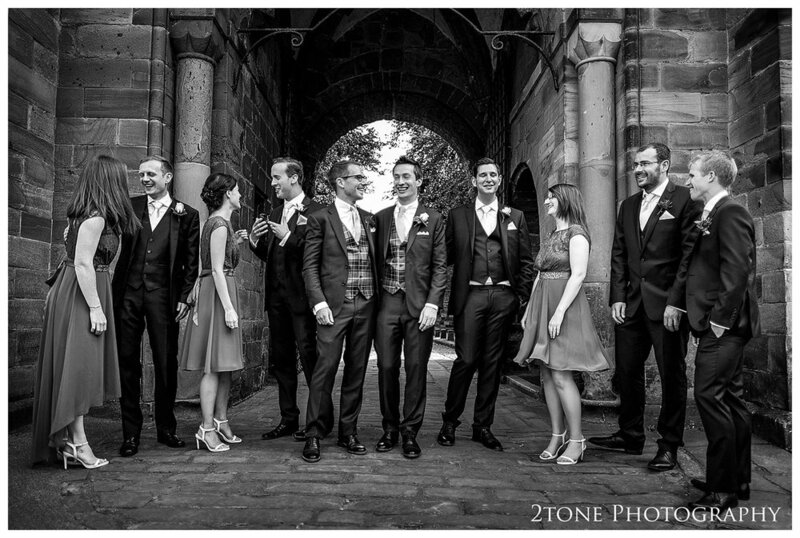 After a quick walk around some of their favourite spots in Durham, revisiting some of the places that they used to go to together as students they were met at the castle by over 100 of their friends, all cheering on their arrival, throwing confetti over their fabulous two seater E type Jaguar. 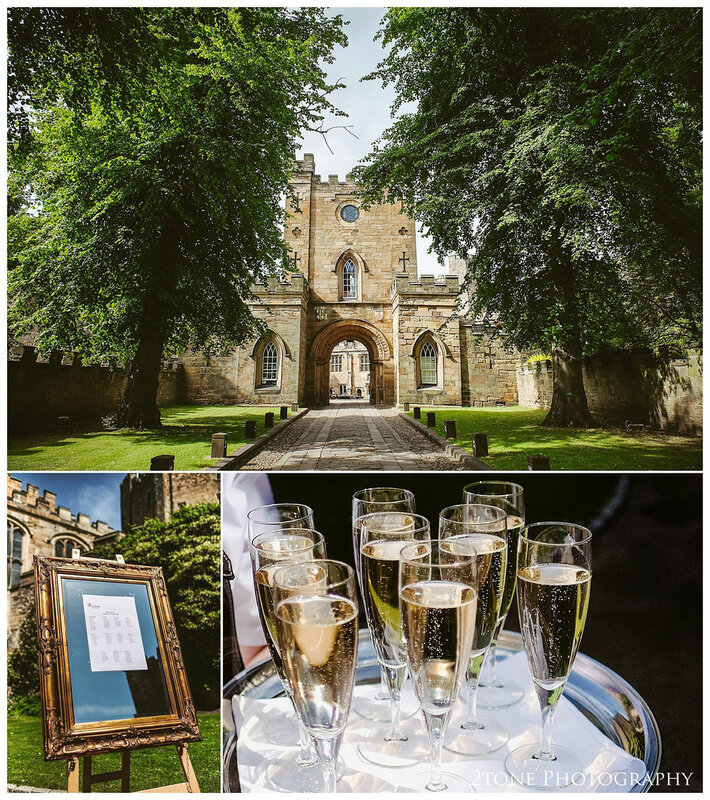 A lavish Champagne drinks reception lead into a feast and speeches in Durham Castle's great Hall. 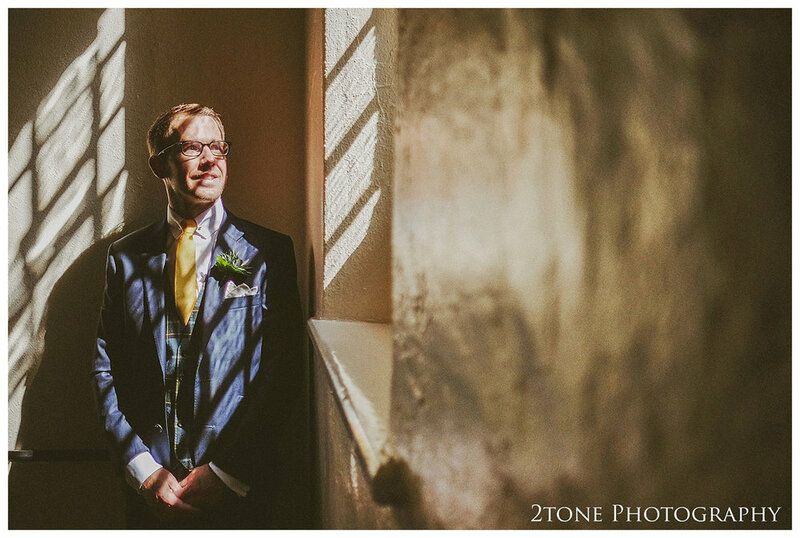 It was such fun photographing this wedding and a joy to attend.